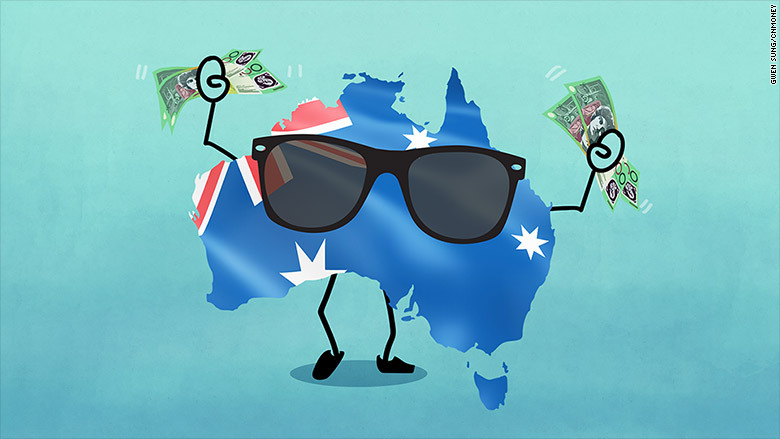 Australia has posted yet another quarter of economic growth, bringing its jaw-dropping run without a recession to nearly 26 years. But is it a new record? The country's economy grew 0.3% in the first three months of the year, according to official data published Wednesday. That takes it to 103 quarters without a recession, which is defined as two consecutive quarters of contraction. Some news organizations say that means the country has now broken a world record previously set by the Netherlands between 1982 and 2008. But experts aren't convinced. The Netherlands actually experienced a recession in 2003, said Paul Dales, chief Australia and New Zealand economist at Capital Economics. His analysis of data from the Organization for Economic Co-operation and Development shows the Dutch economy shrank 0.3% in one quarter and then 0.01% the next in 2003. That suggests Australia surpassed the Netherlands years ago. Even if you round up 0.01% to 0% (which, it seems, some people have done), then the Netherlands actually enjoyed 107 quarters without a recession, Dales said. In that case, Australia will need to go another five quarters to beat the Dutch. Beyond that, there's still the question of whether either country deserves the record. Saul Eslake, vice chancellor's fellow at the University of Tasmania, says OECD data shows Japan went 133 quarters without two consecutive quarters of contraction between 1960 and 1993. The Japanese run may be even longer, Eslake says, but the OECD's quarterly data doesn't go back before 1960. Still, Australia's run of more than a quarter of a century without a recession remains impressive. Tony Morriss, head of Australian economics at Bank of America Merrill Lynch, said it's the result of both good policy and good fortune. 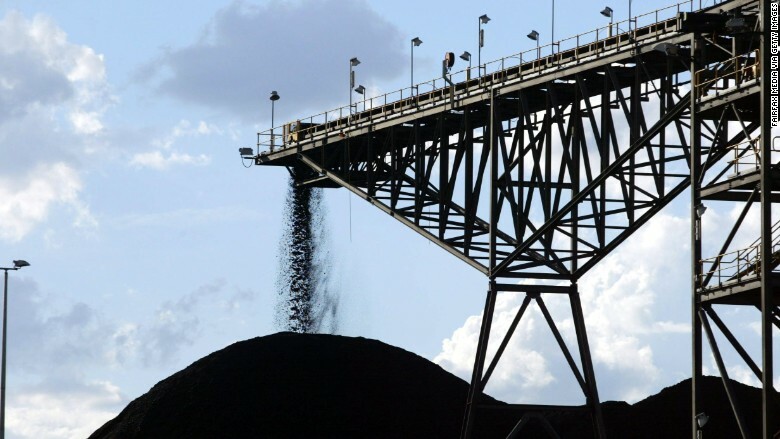 "Australia was very lucky after the global financial crisis to be exposed to China through commodity exports as China turned to the country for resources to expand its infrastructure," Morriss said. Other factors, including government spending and population growth, also fueled growth, he added. But it's uncertain how long Australia's recession-free run will continue. It's also unclear whether the country's "winning streak" is benefiting the majority of Australians. Weak wages and the rising cost of living are squeezing people's incomes, according to economists at Morgan Stanley, who recently slashed their 2017 GDP growth forecast to 1.2% from 2.1%. Key parts of the economy -- such as the retail industry, the mining sector and home-building -- are no longer expected to drive growth, according to experts. And the big lift Australia got from China in the past isn't likely to be repeated anytime soon. China's growth is expected to slow in the second half of this year and into next, said Bryan Carter, head of emerging market fixed income at BNP Paribas Asset Management. Australia "no longer has the support of the China growth spurt behind it," he added.